Physical modeling is a way of modeling and simulating systems that consist of real physical components. It employs a physical network approach, where Simscape™ blocks correspond to physical elements, such as pumps, motors, and op-amps. You join these blocks by lines corresponding to the physical connections that transmit power. This approach lets you describe the physical structure of a system, rather than the underlying mathematics. For more information, see Basic Principles of Modeling Physical Networks. Simscape Foundation libraries contain a comprehensive set of basic elements and building blocks, organized by domain. Connect these blocks together just as you would assemble a physical system. 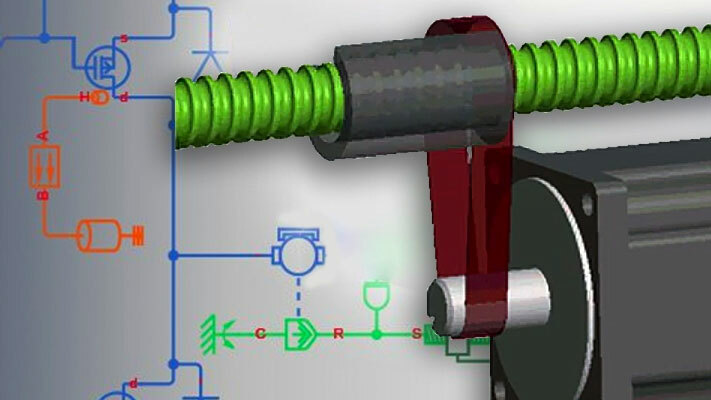 Use these blocks, along with the blocks from the add-on products, such as Simscape Electrical™ or Simscape Driveline™, to model multidomain physical systems. For information on how you can extend the Simscape modeling environment by creating custom components that do not exist in the Foundation library or in any of the add-on products, see Customization.